During the holidays, I’ve spent some time on puzzles like Sudoku, Kakuro and crosswords. 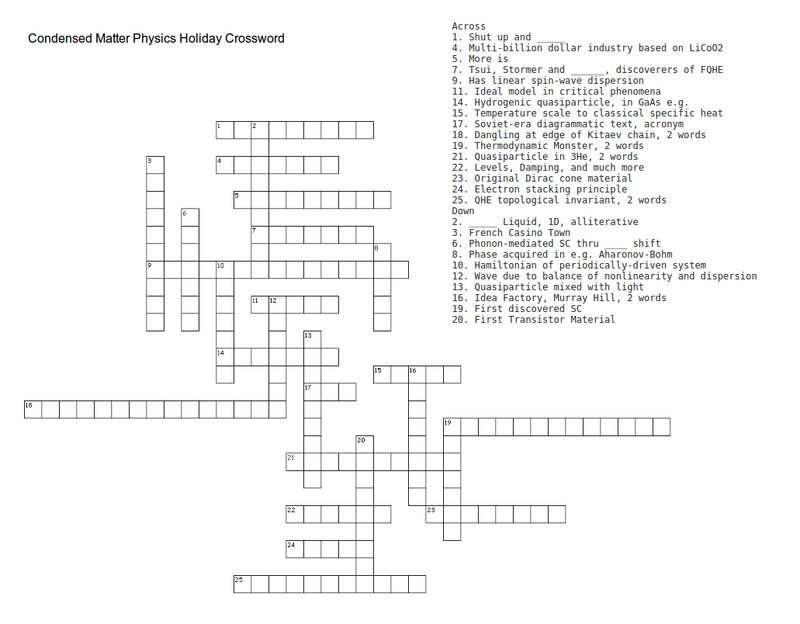 In this spirit, I made a condensed matter themed crossword puzzle for you to enjoy (click to enlarge and print). Happy holidays! I’m not sure what to think about this, but apparently they are quite delicious. Like most ugly haircuts, materials tend to go in and out of style over time. Strontium titanate (SrTiO3), commonly referred to as STO, has, since its discovery, been somewhat timeless. And this is not just because it is often used as a substitute for diamonds. What I mean is that studying STO rarely seems to go out of style and the material always appears to have some surprises in store. STO was first synthesized in the 1950s, before it was discovered naturally in Siberia. It didn’t take long for research on this material to take off. One of the first surprising results that STO had in store was that it became superconducting when reduced (electron-doped). This is not remarkable in and of itself, but this study and other follow-up ones showed that superconductivity can occur with a carrier density of only ~ . This is surprising in light of BCS theory, where the Fermi energy is assumed to be much greater than the Debye frequency — which is clearly not the case here. 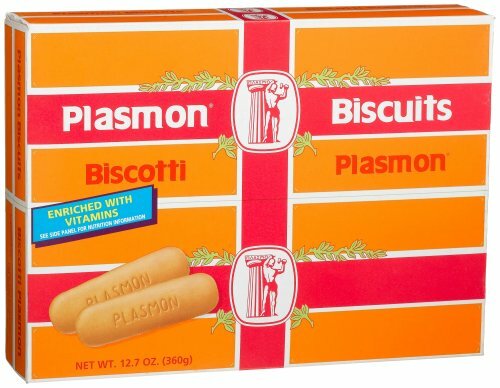 There have been claims in the literature suggesting that the superconductivity may be plasmon-induced, since the plasma frequency is in the phonon energy regime. L. Gorkov recently put a paper up on the arXiv discussing the mechanism problem in STO. Soon after the initial work on superconductivity in doped STO, Shirane, Yamada and others began studying pure STO in light of the predicted “soft mode” theory of structural phase transitions put forth by W. Cochran and others. Because of an anti-ferroelectric structural phase transition at ~110K (depicted below), they we able to observe a corresponding soft phonon associated with this transition at the Brillouin zone boundary (shown below, taken from this paper). These results had vast implications for how we understand structural phase transitions today, when it is almost always assumed that a phonon softens at the transition temperature through a continuous structural phase transition. Many materials similar to STO, such as BaTiO3 and PbTiO3, which also have a perovskite crystal structure motif, undergo a phase transition to a ferroelectric state at low (or not so low) temperatures. The transition to the ferroelectric state is accompanied by a diverging dielectric constant (and dielectric susceptibility) much in the way that the magnetic susceptibility diverges in the transition from a paramagnetic to a ferromagnetic state. In 1978, Muller (of Bednorz and Muller fame) and Burkard reported that at low temperature, the dielectric constant begins its ascent towards divergence, but then saturates at around 4K (the data is shown in the top panel below). Ferroelectricity is associated with a zone-center softening of a transverse phonon, and in the case of STO, this process begins, but doesn’t quite get there, as shown schematically in the image below (and you can see this in the data by Shirane and Yamada above as well). The saturation of the large dielectric constant and the not-quite-softening of the zone center phonon has led authors to refer to STO as a quantum paraelectric (i.e. because of the zero-point motion of the transverse optical zone-center phonon, the material doesn’t gain enough energy to undergo the ferroelectric transition). As recently as 2004, however, it was reported that one can induce ferroelectricity in STO films at room temperature by straining the film. In recent times, STO has found itself as a common substrate material due to processes that can make it atomically flat. While this may not sound so exciting, this has had vast implications for the physics of thin films and interfaces. Firstly, this property has enabled researchers to grow high-quality thin films of cuprate superconductors using molecular beam epitaxy, which was a big challenge in the 1990’s. And even more recently, this has led to the discovery of a two-dimensional electron gas, superconductivity and ferromagnetism at the LAO/STO interface, a startling finding due to the fact that both materials are electrically insulating. Also alarmingly, when FeSe (a superconductor at around 7K) is grown as a monolayer film on STO, its transition temperature is boosted to around 100K (though the precise transition temperature in subsequent experiments is disputed but still high!). This has led to the idea that the FeSe somehow “borrows the pairing glue” from the underlying substrate. STO is a gem of a material in many ways. I doubt that we are done with its surprises.